What Is a Manual Retweet on Twitter? If you're on Twitter, you probably already know what a retweet is and how it works. A "manual" retweet, on the other hand, is a form of retweeting — except it's tweeted in a very specific way. A manual tweet typically involves copying and pasting another user's tweet into the Compose new Tweet box and then typing 'RT' (which stands for retweet) directly before the tweet text, followed by the Twitter handle of the user who originally tweeted it. A manual retweet is just a friendly way to give someone credit for a great tweet that gets reposted by someone else. RT @username: The sky is blue! Me neither! RT @username: Can't wait for the next episode of #GameOfThrones tonight! Imagine actual usernames of the users you're retweeting in the above scenarios and that's really all there is to it. Note that the last example includes a comment before the manual retweet from the retweeter who is reacting/replying to the original tweet. The manual retweet trend was big in Twitter's early days, but it's since been slowly dying out. Twitter now gives users the option to retweet someone else's tweet by featuring their entire tweet — profile photo, Twitter handle, original tweet text and all — by embedding it directly into their own Twitter profile stream. Simply glance at any tweet in your stream and you should see a Retweet link or button represented by an icon with two arrows — both on the web and on the Twitter mobile apps. That retweet button is there so you don't have to go through the hassle of manually retweet another user's tweet. This explains why you might see other profiles photos and Twitter users show up in your stream that you don't even follow. The people you do follow are retweeting other tweets from other users, but they're not doing it manually by creating a brand new tweet and typing 'RT' in front of it. 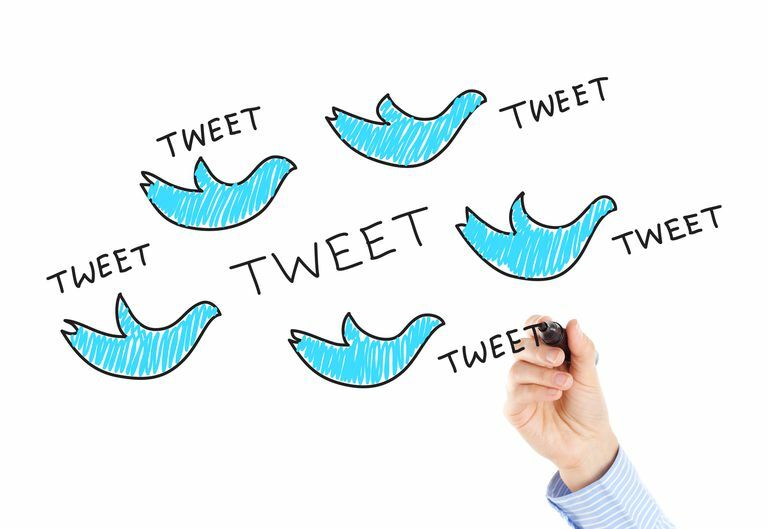 When Should You Use a Manual Retweet Versus the Twitter Retweet Function? Weirdly enough, some users really frown upon manual retweets because even though they include the original tweeter's Twitter handle, the user who manually retweeted them ends up getting all the favorites and interaction and additional retweets BuzzFeed actually published a really interesting article on the matter, which explains the art of Twitter retweet etiquette. As shown in the third manual retweet example above, it's clear to see that manual retweets are useful when one user wants to react/reply to another user's tweet as they retweet it. Although this wasn't always possible in Twitter's regular retweet function, updated versions of Twitter now allow users to include an additional comment in the retweet. When you click or tap the retweet button on any tweet, the tweet will pop up over your screen in a box with a comment field above it. This is actually preferable to manual retweeting because you get to use all 280 characters in your comment while still being able to fully retweet another user's tweet. The retweeted tweet is simply attached to your comment and appears embedded in your feed. Sometimes, you may even see 'MT' instead of 'RT' in a manual tweet, which essentially stands for modified tweet. Subtweeting is another slightly less popular trend on Twitter, which basically involves mentioning other people or users without their knowledge.